Free Demo Download Buy Now! The AlibreCAM-TURN module in AlibreCAM-TURN 2019 is used to program 2-axis CNC turning centers or lathes. 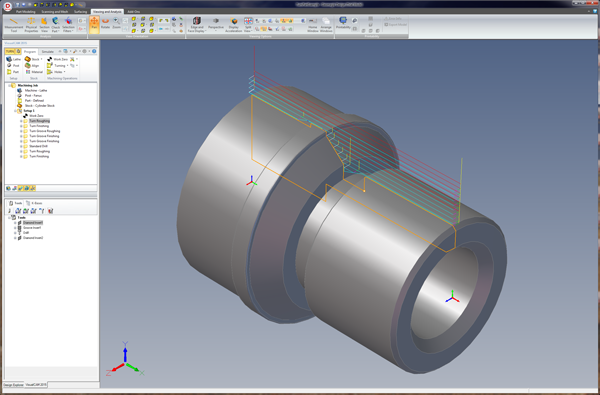 Fully integrated into Alibre’s 3D CAD software Alibre Design, it includes powerful 2 Axis turning machining methods to handle complex programming tasks. Just as in AlbreCAM-MILL, the easy interface, allows a user to machine a part in very short time. One of the best value packed lathe products available today. Download DemoSend Me a Demo Link Buy Now! The table below summarizes the various features found AlibreCAM 2019 – TURN module.